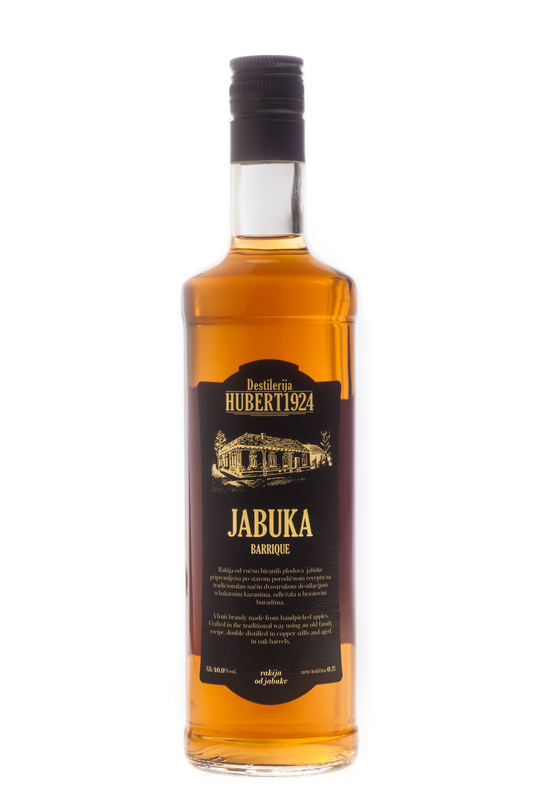 This apple barrique brandy by Hubert 1924 is produced from carefully selected fruit from the region of Vojvodina, Serbia, characterized with very well-developed agriculture with long traditions and high quality fruit production. It is produced in a traditional way in a pot still without a distillation column. Typical for the production is the extremely careful selection of the fruits. 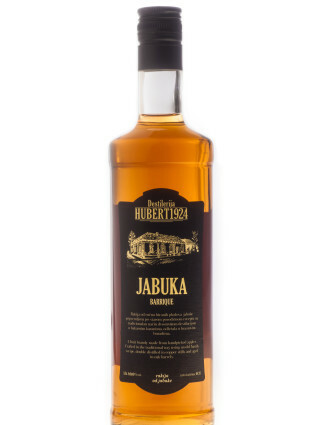 This rakia is characterized with exceptional balance in the aroma and flavor where the fruit is preserved in an exceptional way while at the same time it is very successfully combined with the effects coming out from the aging in oak barrels. It fits perfectly with cheese with elegant aroma (cow, goat, sheep), olives, grilled vegetables as well as light meat dishes.